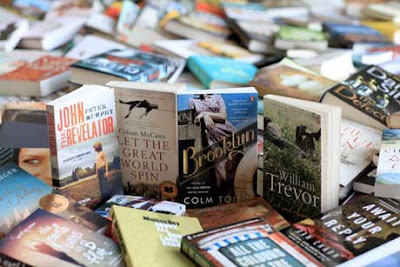 Since the announcement earlier this week of the longlist for the 2011 International IMPAC Dublin Literary Award, touted as "the largest and most international prize of its kind", reviewers and books commentators around the world have been taking a closer look at the variety of titles that made the list. Which books from their country made it? Which books from authors or genres they prefer or rate? etc. Click on the image above to check out the IMPAC website and full list. Ngaio Marsh Award judge and renowned book expert Graham Beattie has noted the six New Zealand books that made the list (see here), while J.Kingston Pierce of the always-excellent The Rap Sheet states that at least the crime fiction genre has been represented in this literary-leaning award, with several titles "that can be properly classified as crime fiction or thrillers" on the 162-book long list - including books by Anne Cleeves, Giles Blunt, William Boyd, and Luiz Alfredo Garcia-Roza (see here). 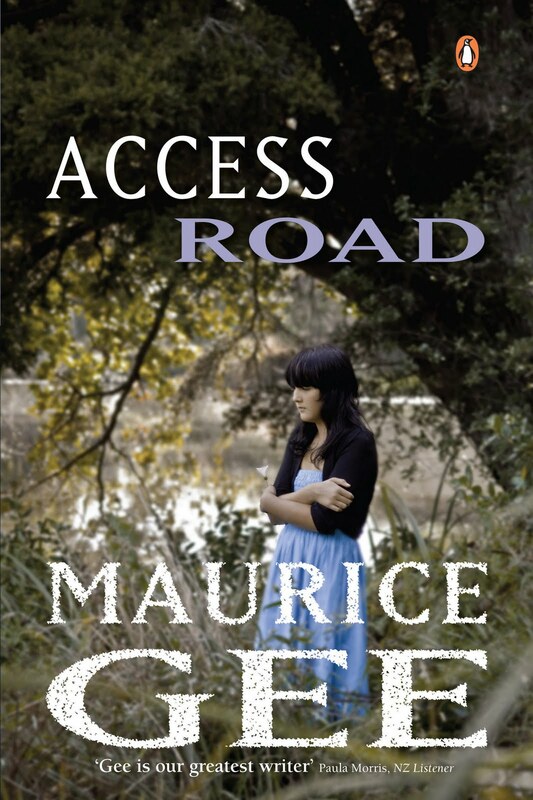 One of the New Zealand books Beattie mentions is Maurice Gee's ACCESS ROAD, which is often shelved in the crime section in many bookstores, and probably sits in that literary fiction/crime fiction overlap - it's not blatantly a detective, cop, or crime novel, so doesn't "sit neatly" or obviously within the genre, but it is a brooding mystery that is centred on crime and violence (historic and current). You can read my review of ACCESS ROAD for WildTomato magazine here. The book was also strongly praised by some of the judges for the inaugural Ngaio Marsh Award for Best Crime Novel. "The tension was thick throughout," said one international judge. "I loved the central character, and the subplots of love and ageing and death were gripping and moving. The prose was simply beautiful without being distracting and the landscape was clearly evoked. The last third, in which the true villain of the book was revealed, was terrifiying." Along with the New Zealand books noted by Graham Beattie, and the crime and thriller titles mentioned by The Rap Sheet, there was another long-listee that I think is well worth highlighting for fans of great crime and thriller fiction, antipodean and otherwise; ALL THE COLOURS OF THE TOWN by Dunedin-based author Liam McIlvanney. It's great to see ALL THE COLOURS OF THE TOWN on the long list - I think it's a terrific novel, and one of the best crime/thriller debuts I've read in the past few years. As such, I'm very much looking forward to the next novel from McIlvanney (the son of famed Scottish writer William McIlvanney, who penned the influential Laidlaw series). 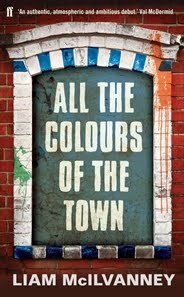 ALL THE COLOURS OF THE TOWN is a literary thriller centred on Glasgow political journalist Gerry Conway, who receives a tip-off about the unsavoury past of the Scottish Justice Minister, one of his best sources. Initially unimpressed, Conway is eventually drawn into a journey from Glasgow to Belfast, attempting to uncover a shocking story laced with sectarian violence and dangerous secrets. You can read a review of the novel by Sarah Gumbley here, and my interview with McIlvanney for the Weekend Herald newspaper late last year, here. So congratulations to Maurice Gee and Liam McIlvanney, authors at the opposite ends of the experience spectrum when it comes to their novel-writing careers - but both flying the flag well for crime and thriller fiction, if leaning literary, penned by New Zealand-based writers. The IMPAC is the world’s richest literary award, with a prize pot of €100,000; it is open to novels published in any language as long as they have also been published in English translation. Nominations come from libraries around the world, with libraries in 126 cities in 43 countries taking part this year.The shortlist will be announced April 2011 and the winner will be revealed in June next year. The award, managed by Dublin City Libraries, is sponsored by IMPAC, an international management consultancy with offices in Dublin. You can read more here.